Sir Henry Creswicke Rawlinson (April 11, 1810 – March 5, 1895) was an English diplomat and orientalist, sometimes referred to as the "Father of Assyriology." Rawlinson initially came into contact with Persian inscriptions while posted with the military and the East India Company in the Middle East. While serving both as a soldier and political agent, Rawlinson was able to gather numerous antiquities, which he donated to the British Museum. At the same time he researched the Behistun inscription, deciphering and translating the ancient cuneiform. He received a knighthood, as well as numerous academic awards, for this groundbreaking work, which opened the way to translating many texts from biblical times and thus expanding our knowledge of human history in this providentially significant part of the world. Henry Creswicke Rawlinson was born on April 11, 1810 in Chadlington, Oxfordshire, in Great Britain. He was the second son of Abram Tyack Rawlinson, and older brother of the historian, George Rawlinson. In 1827 he started his military career, going to India as a cadet under the British East India Company. After six years with his regiment as subaltern, during which time he had become proficient in the Persian language, he was sent, together with several other British officers, to Iran (known at that time as Persia) to help reorganize the Shah's troops. It was during this time that he first became attracted to the study of inscriptions. In the course of the next two years, he transcribed as much as he was able of the great cuneiform inscription at Behistun. This trilingual inscription dated to the fifth century B.C.E. and the Medes and Persian ruler Darius the Great. However, the friction between the Persian court and the British government ended in the departure of the British officers. Rawlinson was appointed political agent at Kandahar in 1840. In that capacity he served for three years, during which time he also fought in the First Anglo-Afghan War. For his political work and gallantry in the war, he was rewarded by the distinction of Companion of the Bath (C.B.) in 1844. A fortunate chance, by which he became personally known to the governor-general, led to his being appointed as political agent in Ottoman Arabia. Through this, he was able to settle in Baghdad, where he devoted much time to his cuneiform studies. With considerable difficulty and at no small personal risk, he made a complete transcript of the Behistun inscription, which he was also successful in deciphering and interpreting. He collected a great amount of invaluable information on this and kindred topics, in addition to much geographical knowledge gained in the furtherance of various explorations (including visits with Sir Austen Henry Layard to the ruins of Nineveh). 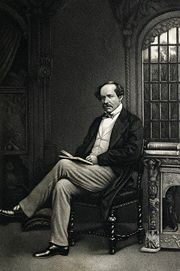 Rawlinson returned to England on leave of absence in 1849, and remained at home for two years. In 1851 he published his memoir on the Behistun inscription, and was promoted to the rank of lieutenant-colonel. He donated his valuable collection of Babylonian, Sabaean, and Sassanian antiquities to the trustees of the British Museum, who in return gave him a considerable grant to enable him to carry on the Assyrian and Babylonian excavations initiated by Layard. In 1851 he returned to Baghdad. An accident in 1855 hastened Rawlinson's return to England, and in that year he resigned his post in the East India Company. On his return home, he received a knighthood, as Knight Commander of the Bath (K.C.B. ), and was appointed a crown director of the East India Company. The remaining 40 years of his life were full of activity—political, diplomatic, and scientific—and were mainly spent in London. In 1858 he was appointed a member of the first India Council, but resigned in 1859 on being sent to Persia as an envoy, owing to his dissatisfaction with circumstances connected with his official position there. He was, however, re-appointed to the Council of India in 1868. He married Louisa Caroline Harcourt Seymour in September 1862, with whom he had two sons. He held a seat in Parliament as M.P. for Reigate from February to September 1858; and again as M.P. for Frome from 1865 to 1868. As a politician, Rawlinson was a strong advocate of the forward policy in Afghanistan, and counseled the retention of Kandahar. He was one of the most important figures arguing that Britain must check Russian ambitions in South Asia, arguing that Tsarist Russia would attack and absorb Khokand, Bokhara, and Khiva (which they did) and would invade Persia and Afghanistan as springboards to British India. Rawlinson became a trustee of the British Museum, serving from 1876 till his death. He also served as president of the British Geographical Society from 1874 to 1875, and of the Asiatic Society from 1878 to 1881. He received honorary degrees from Oxford, Cambridge, and Edinburgh universities. He was widowed in 1889, and died in London six years later. Henry Rawlinson's most significant work involved his decipherment of ancient Persian cuneiform. While serving in the British army in the Near East, he noticed signs that were written in a strange language unknown to him. Since he had knowledge of modern Persian and other Oriental languages, he recognized this to be some ancient language. Rawlinson did not know that some 50 years earlier Georg Friedrich Grotefend, a German epigraphist, had begun to work on the inscription of cuneiform, but was unable to come to a solution. Rawlinson began his work on the cuneiform scripts that he found in major Persian settlements, but due to the short nature of those scripts (some were only few characters long) could not conclude anything concrete. The breakthrough in his work occurred with the discovery of the Behistun inscriptions on a cliff at Behistun, Iran. Rawlinson carried out the major portion of this work between 1835 and 1839, during which time he managed to copy most of the script. The script was carved in the reign of King Darius of Persia (522 B.C.E.–486 B.C.E. ), and consisted of identical texts in the three official languages of the empire: Old Persian, Babylonian, and Elamite. Rawlinson assumed that all three must have the same meaning. By comparing the three texts, he was first able to translate the Persian part of the text, and then the next two languages, Babylonian and Elamite. It was later found that the cuneiform system was used in many other languages, and so Rawlinson’s discovery greatly helped the translation of numerous similar inscriptions. Rawlinson’s published works include (apart from minor contributions to the publications of learned societies) four volumes of cuneiform inscriptions, published under his direction between 1870 and 1884 by the trustees of the British Museum: The Persian Cuneiform Inscription at Behistun (1846-51) and Outline of the History of Assyria (1852), both reprinted from the Asiatic Society's journals, A Commentary on the Cuneiform Inscriptions of Babylon and Assyria (1850), Notes on the Early History of Babylonia (1854), and England and Russia in the East (1875). He contributed articles on Baghdad, the Euphrates, and Kurdistan to the ninth edition of the Encyclopædia Britannica, together with several other articles dealing with the East, and he assisted in editing a translation of The Histories of Herodotus, by his brother, Canon George Rawlinson. What François Champollion was to Egyptian hieroglyphics, Henry Rawlinson was to Persian cuneiform. Rawlinson’s translation of the cuneiform system helped understand the ancient Babylonian and Assyrian cultures. It opened the door for numerous generations of epigraphists and archaeologists who explored these two cultures to continue with new insights into once great civilizations. Later analysis of Babylonian and Assyrian languages connected them to the group of Semitic languages, opening the door to new understanding of biblical history. Rawlinson’s work thus provided great insight into human history. Rawlinson, Henry C. The Persian Cuneiform Inscription at Behistun. John W. Parker. 1846-1951. Rawlinson, Henry C. A Commentary on the Cuneiform Inscriptions of Babylonia and Assyria. 1850. Rawlinson, Henry C. Outline of the History of Assyria: As Collected from the Inscriptions Discovered by Austin Henry Layard, Esq. in the Ruins of Nineveh. John W. Parker. 1852. Rawlinson, Henry C. Notes on the Early History of Babylonia. 1854. Rawlinson, Henry C. Notes on the Direct Overland Telegraph from Constantinople to Kurrachi. John Murray. 1861. Rawlinson, Henry C. The Afghan Crisis. 1878. Silverberg, Robert. To The Rock of Darius: The Story of Henry Rawlinson. 1966. Iran Chamber Society. Old Persian Cuneiform. Lendering, Jona. The Behistun inscription. This page was last modified on 18 December 2017, at 17:01.